By the time I am writing this article many of my readers must have read the present situation of the Indian gold market. We all know why gold is picking up but what we all don’t know who is making its future of gold . If we look for the future demand and the movement of gold prices we can only find its getting disappeared from its yellow color to paper color. The uncertain condition of the world economic have changed the outlook of the gold much before but now its seems that the new outlook will be the future nightmare for retail class of people across the world. Global demand for bullion during the second quarter increased by 36% to 1,050 tonnes. Investment in gold more than doubled in the three months ended June 30% compared to last year. • Net retail investment rose by 29%. • Investments in ETF the new form of paper gold have shooted up to 414%. • Investors purchased 291.3 tonnes of gold in ETFs during the second quarter, the second-largest inflow to date, bringing total holdings to more than 2,000 tonnes, worth more than $81-billion (U.S.). Among all these demand of the global gold we find that china holds yet another cap of being number 1 in gold demand and business. China represented one of the strongest retail investment markets last quarter in gold .The demand soared to 121% to 37.7 tonnes from a year earlier figure. China has asking its citizens to buy gold and hold reserves in gold rather than any other form of investment. China has been doing marketing of buying gold and ultimately increasing the demand of gold globally. 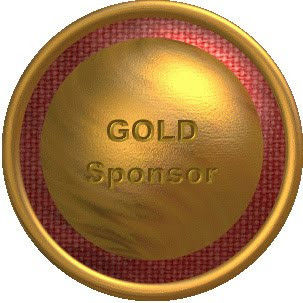 In a very recent tie up China and World Gold Council entered into an agreement where china will domestic demand for gold through new investment products. China have left no stone unturned for promoting the gold consumption among its citizens. China is using television advertising to encourage its growing middle class to buy gold as an investment. The ad campaign is a major shift from only a few years ago when the country imposed strict controls on precious metals purchases by its citizens. The belwo chart show the annual household savings and gold composition. China is creating the reserves of its citizens in the form of gold and indirectly making it country people more rich than any other nation in the coming decades. Since we all know that gold will be beyond $2300/ounce within a time frame of 3 years from now. In that scenario China stand at the point of advantage . 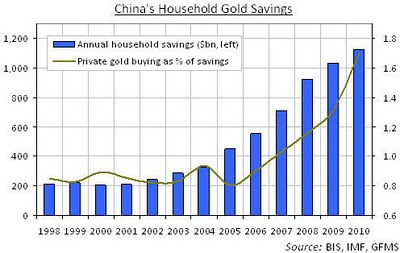 China is converting its household savings in to gold and thus pushing up the global demand of gold. According to Peking professor Michael Pettis – and despite disposable income growth of perhaps 15% annually since 2000 – consumption growth in the world's No.2 (and fastest-growing) economy "is anemic" by comparison. Moreover absence of strength among any other asset classes and currency have led to conversion of reserves in to gold.As US economic outlook looks very unhealthy hence dollar will remain under pressure. This might force China to convert some of the reserves of US held by china to convert into gold. In that case the price and demand of gold will be flying with an astronaut .The new generation of china is looking more active in finding investments avenues and gold is not the cup of tea of China young generation. Chinese government departments recently released an overall plan outlining the main tasks for the future healthy development of China's gold market. The Shanghai Gold Exchange and Shanghai Futures Exchange will explore ways of improving the tax policies for gold investment products and commercial banks' gold business. China is increasing the number of commercial banks that are qualified to import and export gold. New channels for physical gold supply will be established, and the foreign exchange policy for the gold market will also be improved. Chinese banks offering gold derivative products will be allowed to hedge their domestic gold positions via overseas transactions. All these steps coming together silently reveal that China will be leader in gold demand and gold reserves. The government will not only convert its own reserves into gold but is also taking steps to make its citizens to be the most rich citizens on the global platform. FDI TURNS INDIA TO A GOLDEN GOOSE. Its is often said that problematic situations gives birth to opportunities. Even if the opportunities are identified in advance then they will give you not only opportunities but golden eggs in returns. India is now the golden goose which is giving golden eggs. Before India became Independent it was named as a golden bird giving golden eggs. That is the reason why the British and the Mughal emperors rein India for more than 300 years. But even after a couple of centuries India is now again the golden goose giving golden eggs in its Independent country. By the time you all read this India will be close to celebrate its Independence Day. After the recession Indian economy made a dramatic turn around in its economic recovery showing that’s its is less affected from the western crisis. In fact we all know the story of how Indian economy raised to the growth of 7.2% GDP after the cyclone of recession. The stock market scaled back by double from its lowest levels in November 2008.But if we look at other activities we will find the fruits of the golden goose. Foreign direct investment in the country's textile sector has more than doubled to Rs968.76 crore in 2009 from Rs415.10 crore in 2007. A bulk of this has come from Europe, US and China. India is now a hot destination of foreign funds. They are investing in Indian market and making their funds count into double returns. Textile sector have been the biggest favorite destination of investments for FDI. FDI in India's textile sector has steadily increased from Rs415.10 crore in 2007 to Rs869.62 crore in 2008 and further to Rs968.76 crore in 2009.Infact there are host of reason for making this sector a favorite hot spot for FDI. Technology and design development, superior production techniques, better labour conditions, formulation of compliance norms, and development of textile parks have made the sector lucrative. The Indian multi-brand retail and defense sectors for foreign direct investment, FDI inflows declined by about 45 per cent to $1.41 billion in June this year from $2.58 billion in the year-ago period. The sectors which attracted foreign investment include services, tele communication, construction activities and computer software and hardware. Foreign investment in May 2010 was $2.2 billion. In Parliament, the government said that FDI during the first quarter of 2010-11 was $5.80 billion against $7.01 billion in 2009-10.Higher FDI means that fixed capital or Gross fixed capital formation (GFCF) entry into the Indian market is increasing.This will result to more business venture creation and employment opportunities.This fund inflow is fixed capital and not FIIs investmenst which might exit any time from Indian economy.Gross fixed capital formation (GFCF) acts as an indicator in the measurement of economic growth of State. It reveals the potentiality of the investments in the public as well as the private sectors and gives net addition of the assets created during the year. The government have planned to make the Textile sector more strong by framing up old and new policies which will bring huge growth of the sector in the coming years. Few of the glimpses of the policy initiatives taken and awaiting in the wings are as follows. • Introduction of 'Integrated Skill Development Scheme' to provide training at various levels. These new initiatives will make the sector to open doors for more FDI new markets and less dependence on Europe and US.US and Europe are now in frozen mode in terms of consumption so new markets needs to be explored for keeping the Indian export to climb up. One area where the government needs to fight out is FDI in retail sector primarily in supply-chain infrastructure for fresh fruits and vegetables. This will work advantageous for Indian market since the supply chain gap will reduced due to better quality infrastructure and will enable reduction in prices . The wastage in the supply chain and the commission to trade intermediaries inflate the final price paid by Indian consumers for fruits and vegetables. When we drill hard we find that Indian consumers pay nearly 2-2.5 times the price paid to a farmer as compared to 1-1.5 times in developed markets where the penetration of organized retail is much higher. If FDI in retail segment is increased and more focus is employed then Indian consumers will have to feel less pressure on their nerves while marketing. The industry ministry had released a discussion paper on opening the multi-brand retail sector to FDI and sought public comments. If allowed, global retailers like Wal-Mart, Tesco, Carrefour and Metro would be allowed to open their front-end outlets selling an array of products. We need to come up with new plans and strategies to reduce food prices and not RBI old mechanism of controlling inflation damaging the capital market growth and companies sales growth prospects. The Chinese economy was the first economy to show the hope of recovery when the world economy came to an end. Chinese stimulus package led the hope of fire run across the world as the FIFA CUP 2010 was made roaming across the World. The world economy got the first relief with the GDP numbers showing signs of growth came from the Chinese economy. A year after the story stands out to a different place where China is again the nightmare if its GDP growth slows down. China through its economic policies and efficient execution of its planning made the GDP to climb the Ladder of 12% growth. The economy not only surged but also sparked fears of assets bubbles which happened as default reflection of higher growth of GDP. Chinese economic growth raised the fear of a bubble burst out but the Chinese government policies were again so efficient that it controlled the asset bubbles and saves the not only Chinese economy but also the world economy from a massive fall which is yet to come out from its worst phase. Recently the Chinese economic data came out which have shows that china is under stringent control due to which the manufacturing and the overall economic growth of china is under control from internal perspective but fearful from outside eyes. The HSBC China Manufacturing Purchasing Managers Index, compiled by Markit, dropped to 49.4 from 50.4 in June -- falling below the all-important 50-point level that separates expansion from contraction. China Federation of Logistics and Purchasing fell to 51.2 down from 52.1 in June -- also marking a slowdown in manufacturing activity. The PMI covers more than 730 companies in 20 industries, including energy, metallurgy, textiles, automobiles and electronics, while the manufacturing output index reflects a comprehensive index of manufacturing activity by the new orders, production, inventory and finished goods inventory. The below chart shows the GDP growth of China and its current statistics. The output index for automobile products, cigarettes, rubber product manufacturing fell to below critical point whereas the index for textile, garment and fir product, metal product, general equipment output managed to maintain stable growth. Manufacturing surveys from other big emerging economies India and Russia served to bolster investor sentiment, with Asia's third-largest economy marking its 16th month of expansion. The US manufacturing sector grew in July for the 12th straight month, providing a boost to the slowing economic recovery. China is very much affective in its policy implementation. It doesn’t follow the blind policies adopted by US and other western nations. We have been hearing about the possible threats of collapse in the housing market of China. Chinese housing market is as equivalent in size as compared to the manufacturing In other words Chinese economy have two wings two to make its GDP fly high. One is manufacturing the other one is real estate. Chinese stringent policies made the real estate to cut back its growth by almost 60%.This might shock any nation since fall of 6o% in prices will lead to slow growth of the economy and another instance of subprime mortgage failures. China is very much well prepared in its policy frame work. Chinese regulators are demanding that the nation's banks undergo stress tests which include being able to survive a 60% fall in house prices. Despite of such a dramatic plummeting the business confidence level among the Chinese economy is climbing very high and showing sign of more growth to come in coming years. The below chart shows the chinese business confidence.This shows that how they are making their own test within the good time frame work so as not to make their economy face any hard days and nights. After the test the Chinese real estate sector will again spark since the prices have already touched the lower levels and the report of test will spark the next momentum. Moreover the government will do any thing in the next remain period of this year to boost up the sector growth. Otherwise the sector and the Chinese economy will face the consequences of foreign investment would be rapidly curtailed, domestic lending would be slashed and demand out of China for Western commodities would fall fast. Before I move further I would like to know is India having any such system apart from interest rate hikes which have become a common play for Indian economy. China is not only having the stress test of banks for real estate segment alone. It have extended the test for all those sectors which are entangled with real estate-cements, steel and building material. On the other hand the major Chinese banks are raising billions of dollars in new capital under orders from regulators to strengthen their balance sheets after lending a record 9.6 trillion yuan ($1.4 trillion) last year in support of Beijing's stimulus. This reflects that the economy is having adequate supply of liquidity within its streets. One part of the slow down is that its very advantageous to have s lower economic growth rather than entering the tunnel of crisis and pulling other economies in to the hole of collapse. China is also abiding the green revolution and energy revolution. Its manufacturing cut backs have helped china to manage the energy environment efficiently. 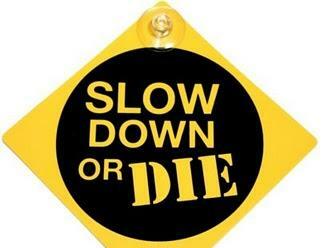 The slow down is better than a prolonged collapse. We often find that any business begins with a speedy opening session and later on slows down in business generation. The management drill very deep to find the reason and finally the conclusion come out that the plan or the people engaged in business failed. Frankly speaking they get ready with the drill process but never drill deep to find the correct reasons for the failure. May be they suppressed their own facts of wrong decision making. I remember and you too can that we find a broking company runs with this theory that if we start on with a theory like shop at each corner then business will grow and competitors will the thrown out of the box. The concept is wrong. Look out for all those entrepreneurs .They started their business with one shop and later on came with 100.They did not start with 100 and later on came to 10.The reason is not lack of funding etc. The reason is that one needs to grow slowly and then reach out at one time with climbing high towards the top of the mountain. You might start up with 100 and when you fail at any point of time you have to wind up the decision once taken by you. Forget about the capital loss and manpower loss happened due to closures. Forget about break even and other calculations. Just explain how you will make up the lost goodwill in the hands of the clients you started off. You jeprodised the system and the goodwill and made the game more tough for the rest of the existing people in the system. We find this type of examples in retail business, pharma, broking, financial products market in fact in every corner. Development does not mean that you need to start a business with 100 outlets. Development has this meaning also that from one corner office you expand it to total 10 floor office. Decision makers often fail here. What we need is not solution. We need problems and the question what next. Another factor we need to keep in mind is that you cannot play the same game at every corner. It means that when you open a shop you need to have a clear idea of your buyers. Now many of us will say that we know our buyers. Drill again here. Very deep we find that knowing preference and tastes of customers is a different ball game but are the numbers of customers are increasing. Now one might say that why we have sales team here. Great .But can they breed customers. It now might sound funny. Let me give you all an example. Say you have a box of 10 apples. You consume 8 apples in 8 days. You are now left with 2 apples. You go out into the market and you get another 10 apples and finally you have 12 apples. Now imagine you went to the market and found no apple and only oranges what will you do. The problem is this that you need to identify the pool of resources being generated. That will help you to identify the place of opening your shop.This is called resource allocation according activity.The below image will make it more clear itself. For example in Kolkata you have management institutes. Students pass out and gets placements. That is very good news since they will now start earning and consumption will pick up and more growth in sales. But all placements are outside of Kolkata. Now the pool of income is happening in other places but you opened your outlet say 50 in Kolkata alone and kept another 50 outlets spread across India. Is the process is related to activity based. What you need is activity based costing. Pooling the resources according to the measured activity and finally achieving the growth. 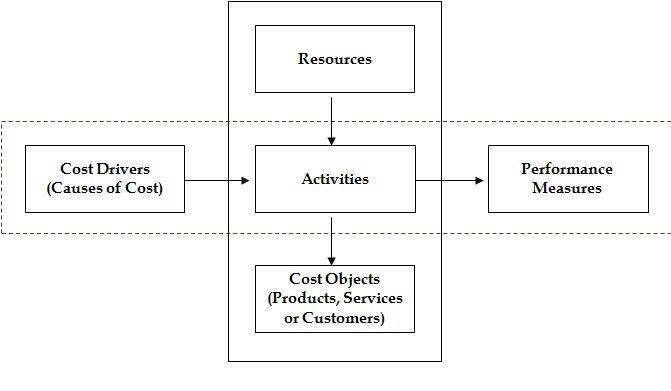 Activity-based costing (ABC) is a costing model that identifies activities in an organization and assigns the cost of each activity resource to all products and services according to the actual consumption by each: it assigns more indirect costs (overhead) into direct costs. In this way an organization can precisely estimate the cost of its individual products and services for the purposes of identifying and eliminating those which are unprofitable and lowering the prices of those which are overpriced. 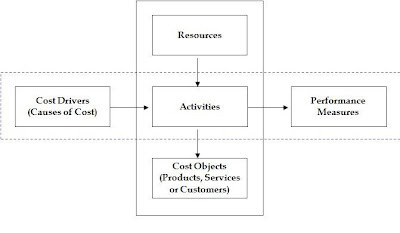 In a business organization, the ABC methodology assigns an organization's resource costs through activities to the products and services provided to its customers. It is generally used as a tool for understanding product and customer cost and profitability. As such, ABC has predominantly been used to support strategic decisions such as pricing, outsourcing, identification and measurement of process improvement initiatives. When broking business is started off we get clients from our existing advisor business module. The most important factor to focus is not getting clients from advisors but retention of those clients introduced by the advisors. The biggest place of our mistake is that we don’t focus on clients and only on advisors. We need to take care of both the sides. Giving tips by the broking companies will not enable retention of clients. What we need to do is that what other don’t don’t do. Now this might sound complicated but its very simple. Every company in the broking industry provides tips, sms facilities and designed portfolio management modules . We need to create a close relation with the clients. Now one will say that we already do these types of works since our sales force is constantly in touch with the clients. Here we need to change and think differently. If that sales man leaves the company with zero clients or 60% of the clients goes off with the sales man and finally the company suffers. Its all resources which got invested in the past session plummet suddenly to zero levels. We arrange training session for advisors. Why don’t we arrange session for clients where market discussion and investments strategies are being discussed? The top revenue generating clients can be brought under one roof and discuss their investments appetites. This will bring all the clients close to the company and less in the hands of the advisors. We prepare and spend host of resources on equity research reports. I can bet that none of them gets to the ultimate client. Why no to sit with those reports on Saturdays with clients and explain the affects and prospects of the markets in the coming sessions. We need to understand that more the company tries to come close to the clients the more revenue you can generate since communication gap gets reduced and transparency in deals becomes highly effective. For the top generating clients higher level strategies of investments and portfolio management should be given and meeting session should be held. Now in the managerial levels the company top notches needs to support the weaker revenue generating branches. They need to bring new clients and not to be dependent on the sales force strength for a longer time. Now if that’s the situation then why we should have sales force when the top notches needs to be on the street. Simple reason to explain is to generate more revenue and more monopoly in the market. Sales force alone work and support of top notches will make a huge difference. We should not focus on CLIENT ACQUSITION. We should change the game plan and out look and change it to MARKET PENETRATION. We need to rectify another place of our business setup is that during appointments of dealers and sales force. 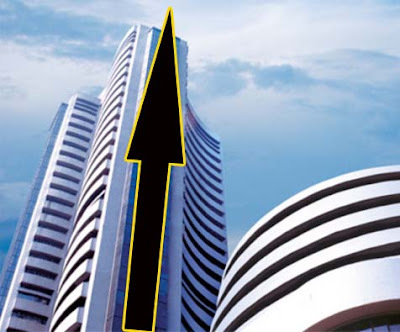 We know that broking houses are under margin pressure of revenue income. Once the closeness of the relation is achieved then multichannel marketing will result to volume increase and hence margins will be no longer under pressure. Increase penetration and develop the atmosphere the rest will create history. Sales force can be any one since they will be groomed and the company needs to invest some resources for grooming them to be the best. But incase of dealers its just the opposite need the best in my dealing room. Since, they will be given no grooming and direct trade with the clients. We need stringent recruitment process for dealers since they are engines who will bring the growth. Differentiation of performance is created by employees and staff. They create the brand and an atmosphere of Discipline is required to achieve the growth. Once we focus on improving the relation between the company and clients and keeping less dependent on sales force the penetration level of the company increases and also the business growth. Your clients will market for you and will lead to multi channel marketing. What we need is to strengthen the basic. Selling insurance and mutual fund together might seem as an difficult task for any advisor but it’s the best weapon to achieve the financial objectives. Insurance and mutual funds help to maintain the future cash flow and mitigation of risk during the adverse situation of life. An investor has two part of inbuilt wealth(1).Tradable financial assets and (2).Human capital. Human capital is defined as the present value of the future labour income of the investor. The below chart depicts the true picture of human capital and tradable wealth of an investor. The amounts of financial capital and human capital over an investor’s working years (pre-retirement) from age 25 to age 65. When the investor is young, his human capital far outweighs his financial capital. As the investor gets older, the investor will continue to make savings contributions and, with the returns from the existing financial portfolio, the amount of financial capital will increase. Insurance and mutual fund when used judiciously can help a common man to fight easily against the rising cost of living. One doesn’t need to compensate and cut back his expenses as cost of living each day is going up. One can maintain and improve the living standards despite of rising cost through financial planning .Insurance is never sold but bought in India as a burden or as an forced sell product . But we never went into the other aspects of insurance than death coverage or life protection. Retirement is the end of active employment and brings with it the cessation of regular income. ULIP is the best product generate the future cash flow during much higher living cost .A young fellow of 18-25 years will refuse to go for retirement investments but he must understand that his human value will get reduced day by day which needs to be compensated through asset increase. At the age of 45 his human value will be over by more than 60% and at that age he will enter into retirement planning will only fetch asset value only 40% of the left over life. Now, Hari starts investing 10 years later (i.e. at the age of 35) and in order to make up for the lost time, invests Rs.15,000 every year (which is 50% more than Gaurav’s annual investment). So, by the time of his retirement, he would have invested Rs. 3,75,000. And assuming the same annual return of 7%, he will end up with a retirement corpus of Rs 9lacs (approx). Tuition fees of schools and teachers are increasing like any thing. In fact food prices are climbing very slowly as compared to tuitions fees of school and colleges. I will not go into higher studies. I will keep it small and simple. Apart from conventional schooling, it becomes important to expose your child to different activities such as dance, painting and sports training for holistic development. As a parent, you want to ensure that their development is not hampered either due to rising costs or unforeseen circumstances. ULIP and mutual funds investments can generate the cash flow as well as long term protection of education through the maturity of the insurance policy. Mutual funds in simple words takes care of the cash flow and also if viewed from an different angel can also reduce the burden of paying premiums over the years. This is possible only with the use of the two products judiciously. Hence make judicious investments..